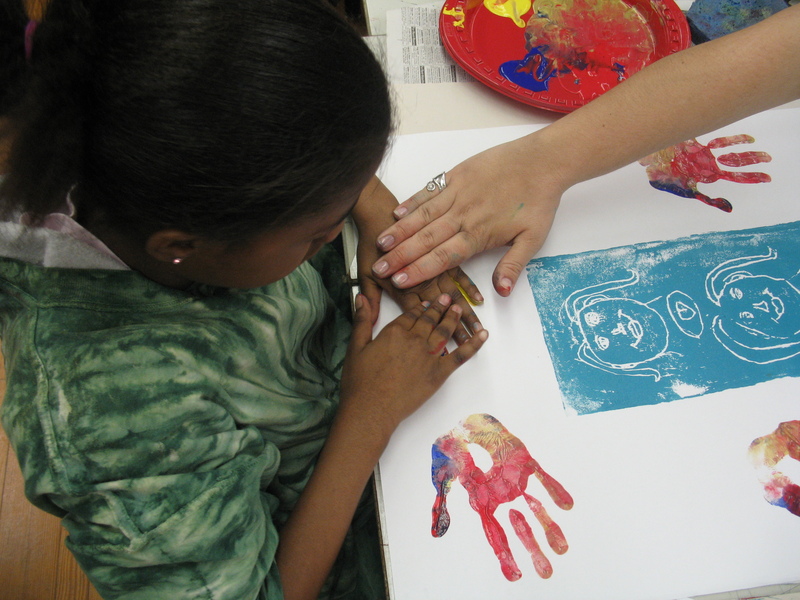 This spring semester 2008, Art Education Students enrolled in the ARTS305 course at the Virginia Beach Higher Education Center; completed a service-learning project. 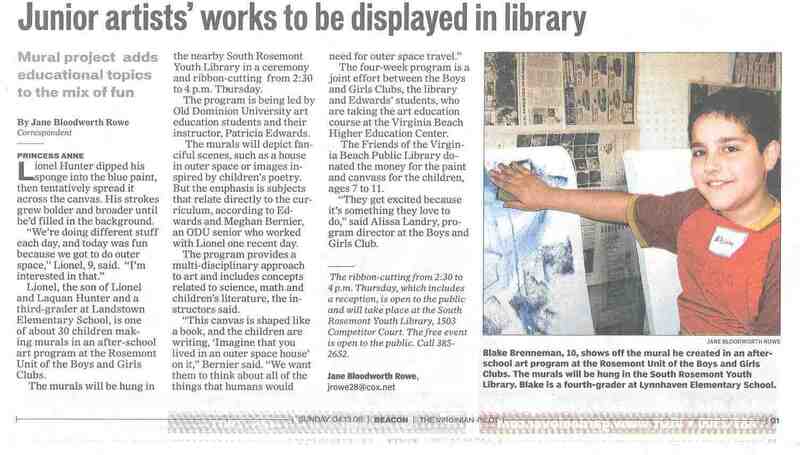 Artwork on display at the Rosemont Youth Library in Virginia Beach thanks to the Friends of Virginia Beach Library and the Boys & Girls Clubs of Southeast Virginia. Through an initiative with our partners-in-education; the Boys & Girls Clubs of Southeast Virginia and the Rosemont Youth Library, ARTS305 students gained the opportunity to design and implement art education lessons which students taught during Youth Art Month. Visiting young artists were able to create meaning through art making. Student artwork was based on the concept of “Place”. The art lessons included links to literacy and SOLs using art materials of paper collage, origami and painting. This entry was posted on May 5, 2008 at 2:11 am and is filed under Uncategorized. You can follow any responses to this entry through the RSS 2.0 feed. You can leave a response, or trackback from your own site.